I have been asked to talk on ABC Radio on Monday morning about what the producer describes as the “movement” called the typosphere. I’ve agreed to do it, but as a Johnny-Come-Lately typospherian, I feel a little bit of a fraud. I’m assuming the request has come about because the producer, following up on the Mumbai typewriter factory fiasco, has come across Ryan’s blogs and his references to typecasting. The producer would have been directed to them, I assume, on hearing an interview on CBC radio (with Richard Polt perhaps?). Anyway, I’ve been doing some research, have noted Ryan’s mention of the origin of the term "typecasting" and of Paul Lagasse, and found something about the author. I’ve also gleefully taken note of Ryan’s definition of the typosphere. But is there anything else I should be aware of before going on air and talking about a world I have only just entered? Please let me know if there is. I feel as though I am representing you guys. 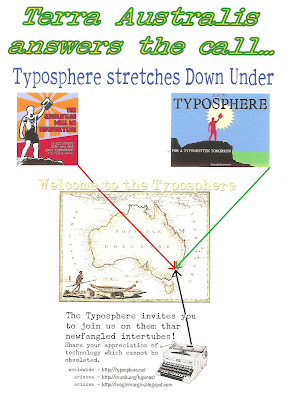 Given this is an Australian program, are there any other Australian typospherians out there of whom you are aware? How big has the typosphere become? 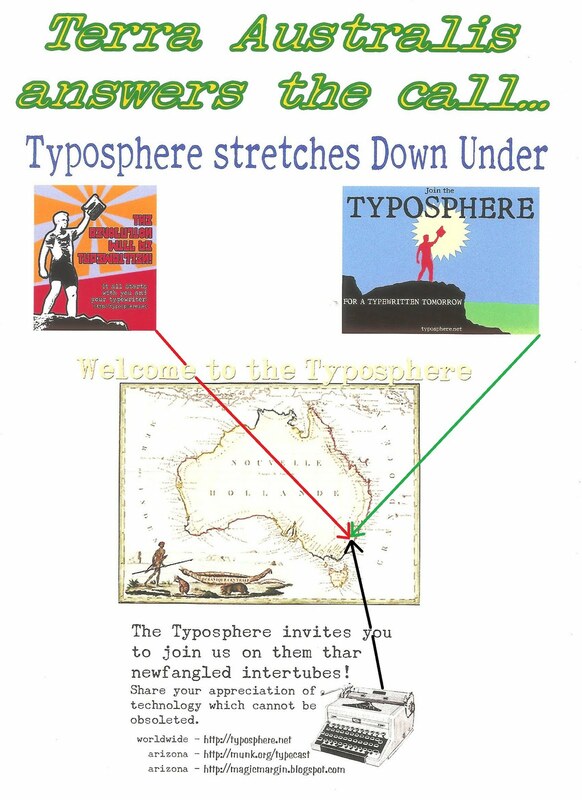 I love the word "movement," and I love your Terra Australis poster. A photo of an Englishman is turned into posters by Americans, which are then appropriated in Australia ... truly, this is a worldwide phenomenon. Just for accuracy's sake, typosphere.net was initiated by Mike Clemens, but a number of us are able to post there (maybe you too?). 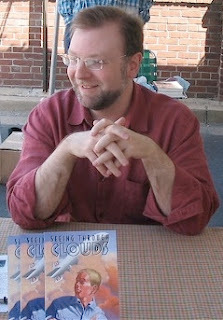 I posted the bit about Paul Lagasse, and Mike wrote the definition of the typosphere. Not sure who coined "typosphere." Was it Mike? 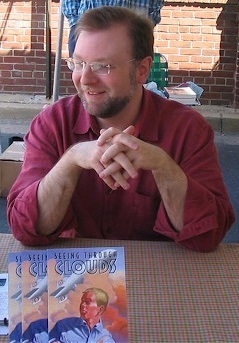 In any case, he has been at this for at least 3 years, so you might want to read his early posts on clickthing.blogspot.com. See also strikethru.net -- she's been at it longer. With so much recent activity and new, creative approaches to typewriter blogging, the "movement" is wide open and in the midst of an exciting phase.